Pouring a Flat White at Flat White cafe in Soho. 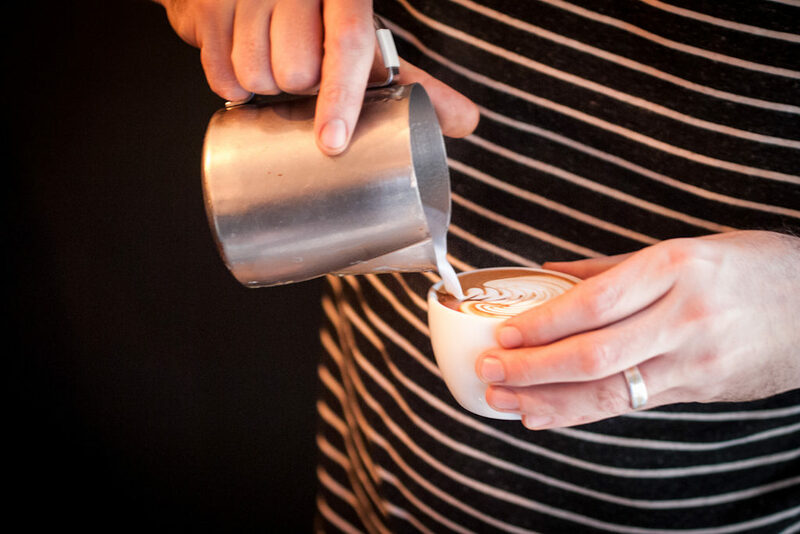 The key to a Flat White vs a Latte is the way the milk is poured. I think different between flat white and latter is an espresso ratio extraction because you can’t call single shot a ristretto. I think flat white is less coffee more frothy milk like all those three layers I reckon.